Engaging content helps to effectively communicate your message. Quality, relevant information ensures your target audience are interested in what you offer and increases the likelihood of them buying your product or using your service. to ensure that they stay engaged with quality content. When your visitors find what they are looking for and are engaged, you have the opportunity to educate them on the goods or services you offer. 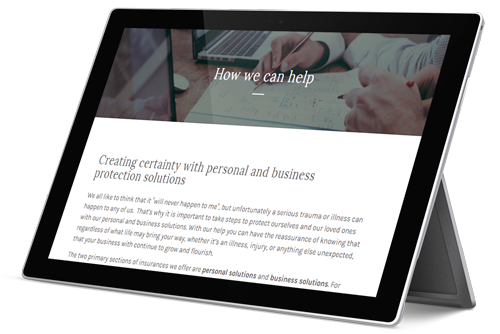 Website copy can do more than simply introduce your business to your visitors, it’s can explain how you can help them, and why they should use you. Whether it’s for a website, newsletter, brochure or whatever else you require, I can help you get the words that accurately reflect you and your business. Contact me today to organise this. Pricing depends on the size and scope of your project, so we will clarify this when you contact me for a chat.